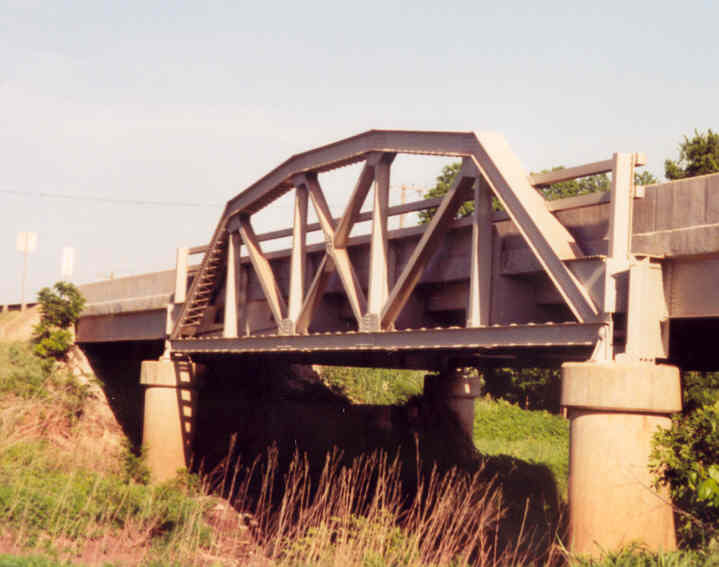 Built in 1940, this 100' pony truss carries OK 11 across Pond Creek west of Medford. Above, a view thru the bridge. The original curbs and concrete "fence" guards have been replaced. 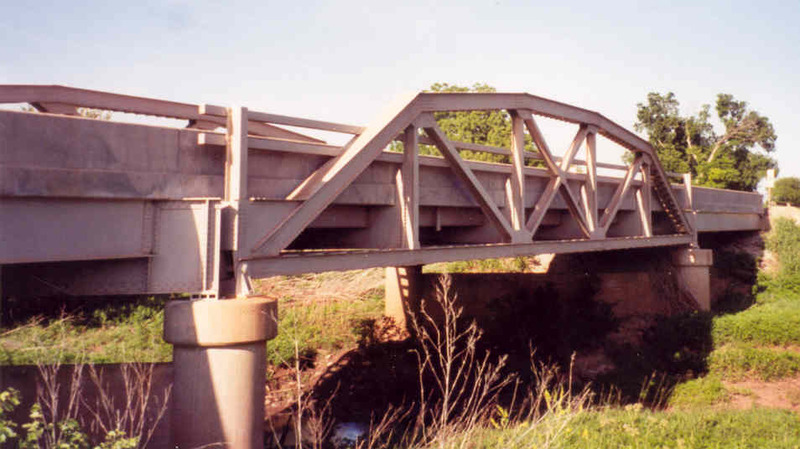 Although hard to see in this photo, the truss span is skewed. The bridge is in very good condition. Above, a side view. 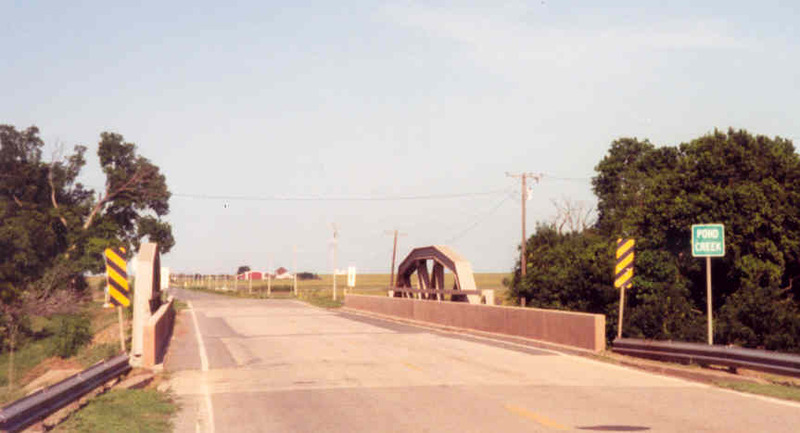 Note the depth of the truss below the roadway. Below, another side view. The skew is much more evident in this view. The skew is one panel. You can see the heavy built up beam to the left that carries the stringer approach, and the shear wall between the piers are angled.